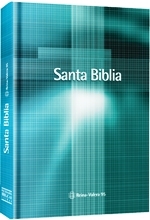 This Bible is the RVR 1995 updated edition in which all appearances of the term “Jehovah” are replaced by the term “Señor” (Lord) or the equivalent. Paperback. 864 pages. 4 ½ x 6 ½ in.